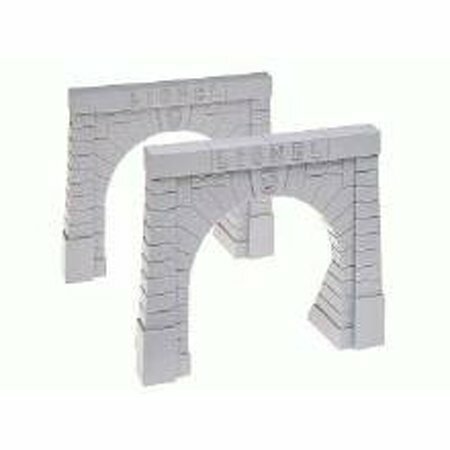 Lionel offers these tunnel portals for the train enthusist that go all out in their realiastic train layout. 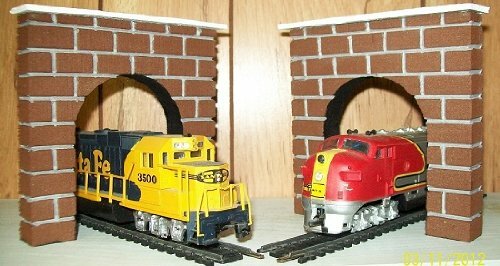 This set of O Gauge train tunnel portals,which is hand built in our Western Pennsylvania workshop measures 9 1/2" W by 9 3/4" H. Inside opening measurements are 5 1/2"W by 6 3/4"H. Made from polystyrene with a wooden cap. 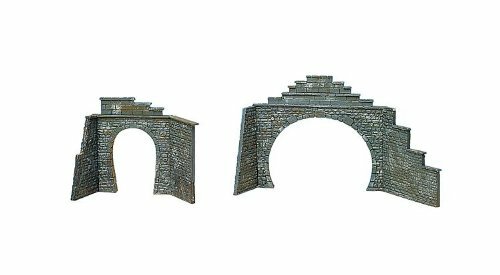 Also available in HO & G gauge. Contact us for more information. TRAIN NOT INCLUDED. 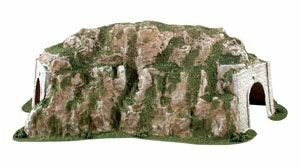 Perfect for model railroad mountains, train layouts, modelers. 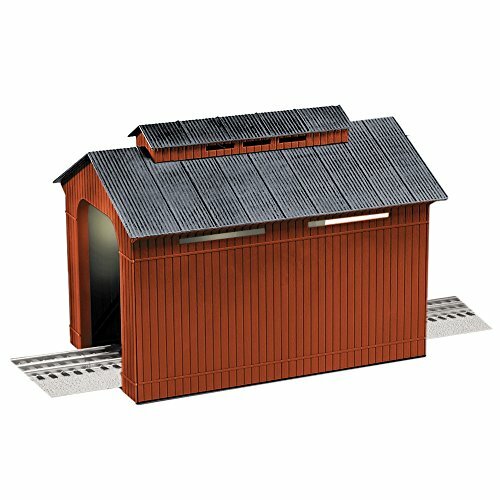 No railroad empire is complete without the buildings, covered bridges, extension bridges that make it look real! 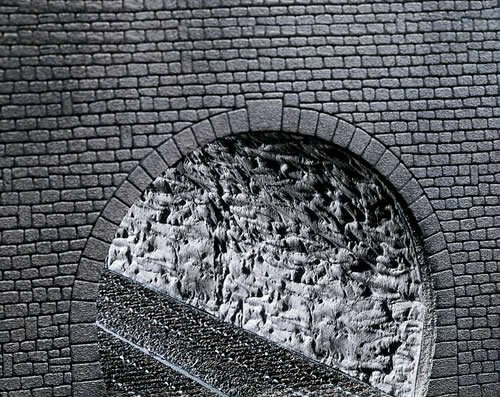 We reintroduced a perennial favorite as a complete| decorated structure. 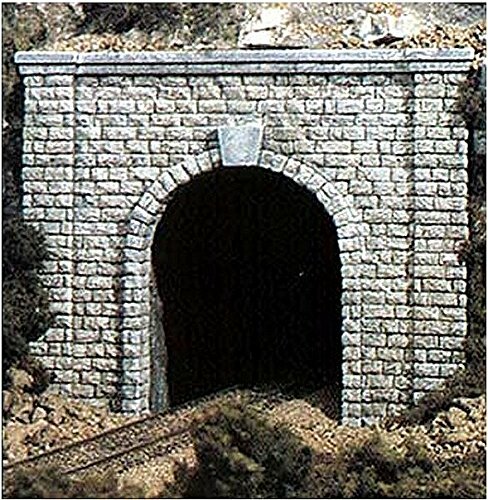 Dechant's Railroad Express is offering this unique set of HO tunnel portals for your model train railroad layout: This set of 2 HO gauge tunnel portals,which is hand built in our Western Pennsylvania workshop measures 4 3/4" L by 4 3/4" H. Made from polystyrene with a wooden cap. 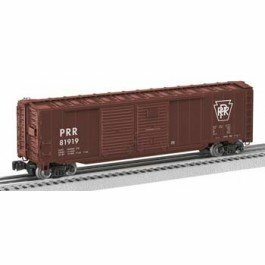 Also available in O & G gauge. Contact us for more information. 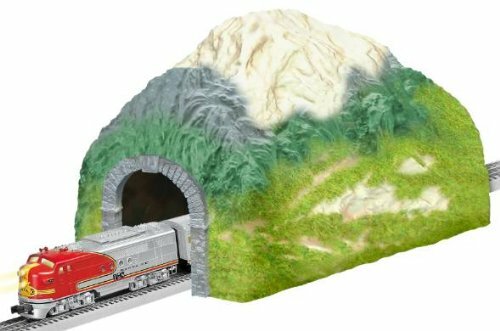 TRAIN NOT INCLUDED. 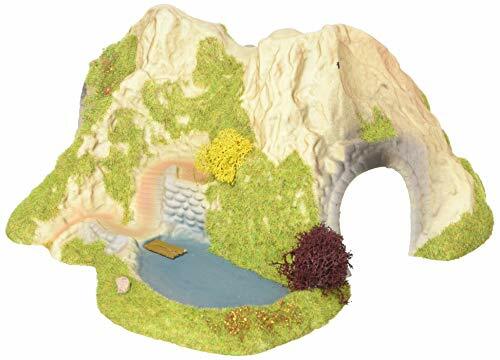 Constructed with polystyrene with wooden cap. 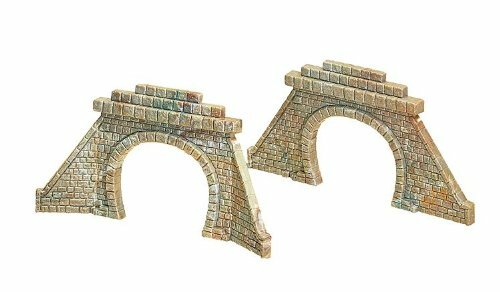 Great for train layout scenery backdrops and mountains. Durable For Indoor and Outdoor Use. and Compatible with O-27, O, and FasTrack track systems. 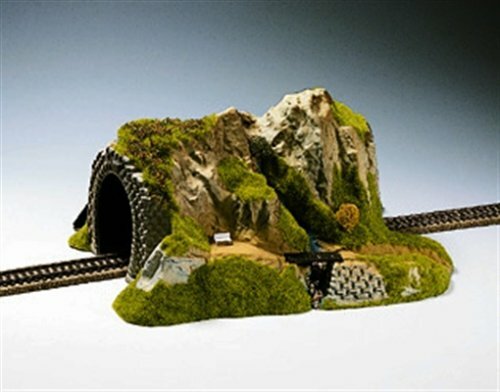 433-1304 Features: -HO Scale straight small tunnel. 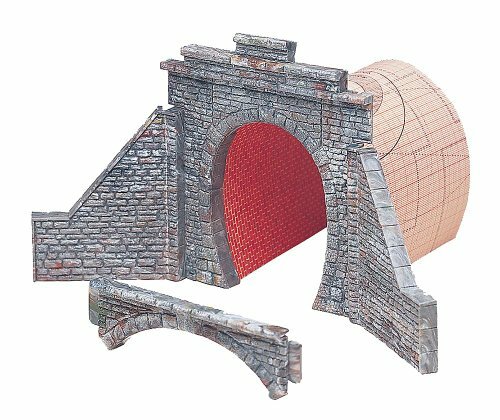 -Add scenic interest to HO scale train layouts with a light-weight styrofoam tunnel. 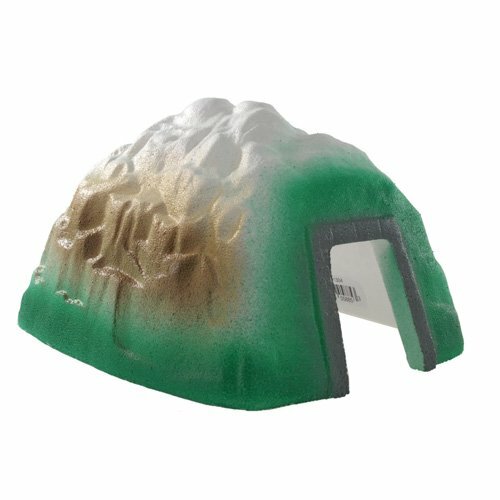 -Lightweight durable foam. 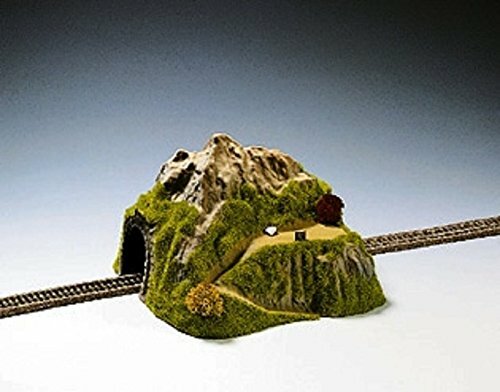 -Perfect with any railroad layout. Use: -Hobby. 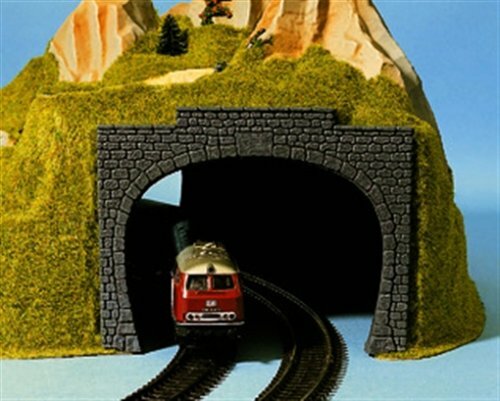 Product Type: -Train Tunnels. Scale: -HO Scale. Age Range: -12 Years And Up. Gender: -Boy. Color: -Multi-Colored. Dimensions: Overall Height - Top to Bottom: -8 Inches. Overall Width - Side to Side: -10 Inches. Overall Depth - Front to Back: -11.75 Inches. Overall Product Weight: -0.33 Pounds. 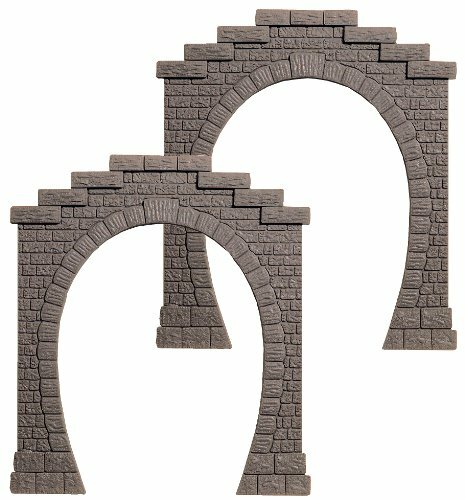 Item is Great for the Beginner Modeler. 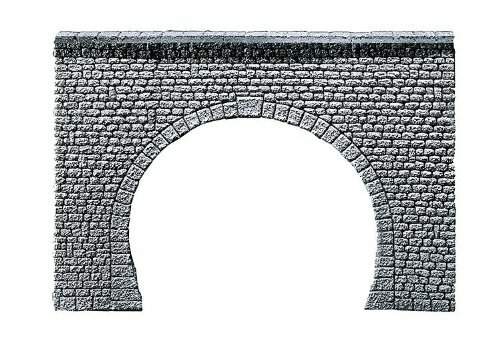 Scenery, vehicles and/or building kits by Busch. Designed for 7026 enthusiasts or collectors over the age of 14 - not a toy.